The group of muscles doing one action on a joint are called Agonist group of muscles. The muscles doing the opposite action on same joint are called Antagonist group of muscles. e.g. for flexion (folding) of elbow the agonist group is Biceps, Brachialis and Brachioradialis. Muscles causing extension unfolding of elbow are their antagonist namely Triceps and anconeus. For smooth action at any joint, one group of muscles contracts & other group of muscle undergoes relaxation. Yogic postures are designed to involve both groups of muscles. They are to be practiced in a particular sequence. Working on both group of muscles (agonist & antagonist) is mandatory in Yogic Postures. e.g. Konasan 1 for Biceps & Konasan 2 for Triceps. Gnosis Medical Yoga explores this knowledge while studying Yoga in Pune. This balance of agonist and antagonist makes the actions smooth & in full range. In right handed persons, right sided muscles are used most frequently, than left side giving rise to adaptive changes. Yogic postures are designed to balance both side muscles. So one has to practice postures on both sides with a deeper understanding. e.g. Gomukhasan Hands. Gnosis Medical Yoga activity is conducted at Unnati Yoga Center. 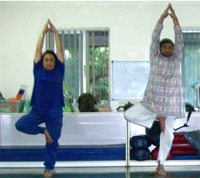 Our center is well-known for Medical aspects of Yoga in Pune. Right & left sided balance is useful to postpone degenerative changes in weight bearing joints. We have to pay attention to toes, arches of foot, ankle, knee, hip joint, pelvis, vertebral column, rib cage, shoulder joint, elbow & wrist joint in Parshwakonasan. This leads to stimulation of cortical centers which are controlling the muscles acting on these skeletal sites. Co-ordination among various muscles is responsible for maintaining such postures. This power of co-ordination requires concentration. Study of Dharana thus starts at body level in Yogic Postures. Asan and Dharana are two limbs of Ashtangyoga. Our center deeply studies the physiological aspects of Yoga in Pune. We human being are gifted with erect posture. But we have to pay cost for it. Our vertebral column & other weight bearing joints need special attention for their health. Balanced muscle action with necessary strength is well understood & practiced in many standing postures. e.g. Ekpadpranamasan. 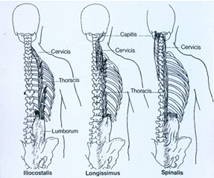 Muscles shown below are postural muscles. Asan is practiced with knowledge & awareness. Our center offers courses with such aspects. 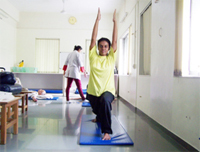 It is distinguished for its Medical Base for Yoga in Pune. We tend to be in one body position or movement due to our occupation. e.g. All indoor working people in various professions have to sit for long time in a particular posture. Many other occupations require prolonged standing, lifting weight etc. The muscles which are keeping the skeleton for long time undergo adaptive shortening. This reduces freedom in the concerned joints in the course of time. e.g. flexors of hip joint. Yogic postures are designed to stretch selective muscles. e.g. 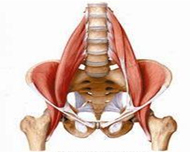 Veerbhadrasan for hip flexors. Prolonged standing and excessive walking lead to calf muscle shortening. 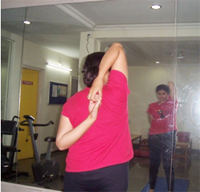 Adhomukh Shwanasan is ideal posture to stretch them. Gnosis Medical Yoga offered at Unnati Yoga Institute in Pune thus elaborates on study of skeletal muscles in various Yogic Postures.